It was another sunny and very warm noontime at the Ridge today. 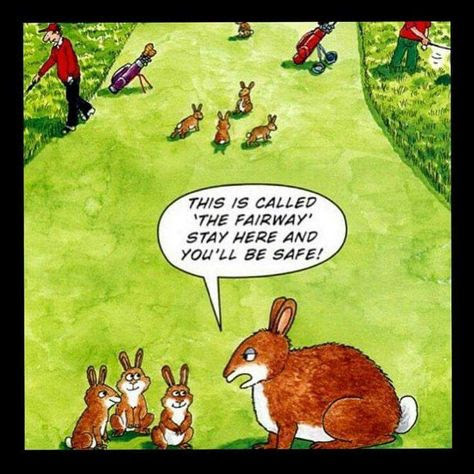 The golf committee was meeting already when people started to arrive. We had another light crowd, just shy of 20 members without any guests. I suspect everyone is still in summer mode or keeping out of the unseasonably hot weather we have had recently. President Kevin rang the bell to start the meeting. This was followed by a spontaneous moment of silence. I'm betting everyone was reaffirming Jim Watt's prayer last week for new members with singing talents, before we finally started singing the Rotary song. This was followed by the Pledge of Allegiance, and an invocation by Bob Wood. He started by quoting Margaret Mead's famous line: "Never doubt that a small group of thoughtful, committed citizens can change the world; indeed, it's the only thing that ever has. ", followed by examples of how Rotary members help change the world through activities such as ShelterBox. Lunch was an adequate Chicken Teriyaki, cauliflower, rice and salad, with either cookies or lemon squares for dessert. After we finished eating President Kevin rang the bell again. He noted that we had no guests present and moved on to Caring Moments. President Kevin shared with us that an unnamed member of the club has had a family member that underwent cancer surgery. Let’s keep this person in our prayers. We then heard from Jairo Lemos, who has graciously agreed to take on the chairmanship of the program committee. The committee was to meet following the regular meeting today to start getting organized. If you have any suggestions on potential speakers, please get in touch. Jairo also shared that he spoke to the Department of Social Services and found that there is a certification process that families need to go through to be eligible for our Koats for Kids project. President Kevin will be sending out the requirements, so please share these with any East Hartford families that might need some assistance. Also, we do get a lot of no shows at the actual event, so if you could ensure that the people you contact have some way to get to Burlington Coat Factory on the day we distribute the coats that would be much appreciated. 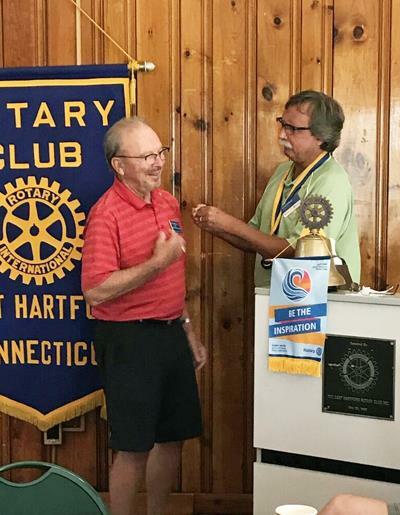 Past President Dave Amberg was presented with a Past President pin as thanks for his service last year. Neal Cunningham shared that he will be signing people up for the Marathon Water Station soon. The race will take place on Oct 13th. East Hartford Rotary Club has been volunteering at the race since its inception 26 years ago. The organizers of the race appear to be planning some way to recognize groups that have been supporting them for so long. Hopes were raised that our station would get its own porta-potty as a result. Keep your fingers crossed! President Kevin shared a letter from Barry Rassin, President of Rotary International. Barry is asking that all clubs find some way to celebrate World Polio Day on Oct 24th. Any ideas on how we could help raise awareness that the fight against Polio is not yet over should be given to President Kevin. 30 years ago, over 350,000 people were diagnosed with polio each year, most of them children. In 2018, only 14 cases have been reported. We are almost there. Anwar Hossain is working to set up a date when we can volunteer at FoodShare. There are a couple of possible dates. Please respond to President Kevin's email of Sept 4 if you are interested in participating. Jack Sayre again asked that if members have an issue with the caterer, they go through him. The server that sets out our lunches really has no control over what is served. Also, if you have anything you would like to see served at one of our evening meetings, again, see Jack. He picks out those meals for us. 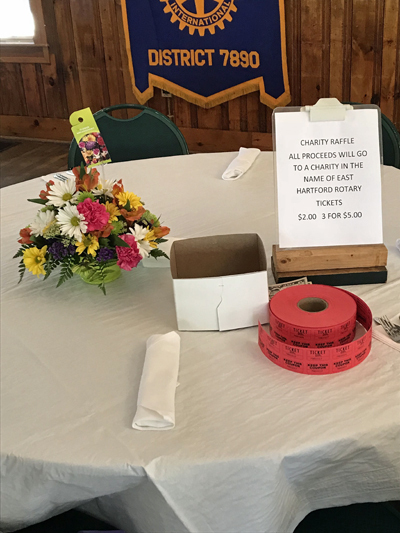 Our Club Florist, Bob Buettner, will be raffling off a bouquet of flowers each week to help raise money for our charitable activities. Raffle tickets are $2 a piece or 3 for $5. This is a great gesture on Bob's part. Any husbands that are in the doghouse one particular week ought to take advantage of this opportunity and pick up 12 or 15 tickets, I know I will :-) Today the raffle raised $38 and the flowers went to Peter Klock. Steve Jacoby's granddaughter Anna is a freshman at San Jose State in CA. She just qualified at the national finals for the Hunter Class Jump Horse competition. President Kevin's son-in-law got a new job and he is happy that he will be getting his basement back. I think Jack might have been making that last part up. Past President Bill Saunders gave an update from the golf committee. We are starting to get some things in, but we have a long way to go. Everyone in the club, whether they attend regularly or not, is expected to contribute raffle items and gift cards. Bill will be happy to pick things up from people if they need him to.